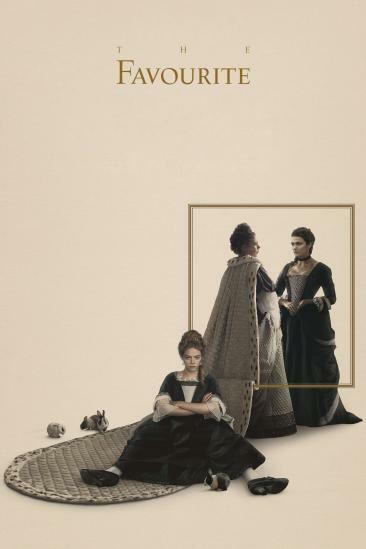 WHAT I LIKED: Yorgos Lanthimos' 'The Favourite,' has been described as many things, but most of all it's a hilariously scathing satire and exposé of the historical British monarchy that will have you smiling and laughing throughout. Yes what Lanthimos does here is paint a very extreme picture of the laziness and tragedy that bewitched Queen Anne and the corruption and detachment from reality that surrounded her, and the result is something fairly vitriolic, but also something extremely funny because of the way it's all delivered so overtly. For a start there's the political figures who are utterly belittled caricatures carried by nothing except their own self-interest - and then there's the Queen's right-hand-woman Lady Sarah who is similarly self-serving and bitter. Rachel Weisz does unlock some hints at humanity in there but all of that stuff is mostly belittled by the ridiculousness of the characters, so that route into the story is left exclusively in the hands of Olivia Coleman's Queen Anne - a character who inherently carries a huge amount of power but is portrayed with very little dignity and with a great coldness that we soon learn was brought about by a life of tragedy in the sickening world that surrounds her. The narrative then follows Emma Stone's suspicious working girl Abigail who gets a job at the palace, and whilst everything is initially seen through her disgusted eyes, she too becomes dehumanised as she climbs her way up the palace's ridiculous social staircase. So whilst you might have thought that all of that would make the whole film rather difficult to enjoy, it's the humour within (and also the pace with which it's all delivered) that keeps your eyes on the screen and a smile on your face. That's why it's most deftly described as a hilariously scathing satire and exposé in the vain of 'The Death of Stalin,' rather than a serious drama, and whilst there is certainly tragedy here, we're not really supposed to care for the characters when everything on display is so overtly despicable and ultimately belittled. That's a brave thing for any filmmaker to do, but it pays off here, and it's another success for Yorgos Lanthimos. WHAT I DIDN'T LIKE: We're not really supposed to care for the characters... and short of the overall wretchedness of the environment, there's no real thematic point or arc to unlock either. VERDICT: The fact that Yorgos Lanthimos delivers everything in 'The Favourite,' so extremely and despicably means it's definitely a satire above all else. It's a successful one too, as you'll not only be laughing, but you'll likely come out with very little respect for any of the characters, and a lot of respect for the filmmakers.